Costco members, I've got another deal that's just for you. 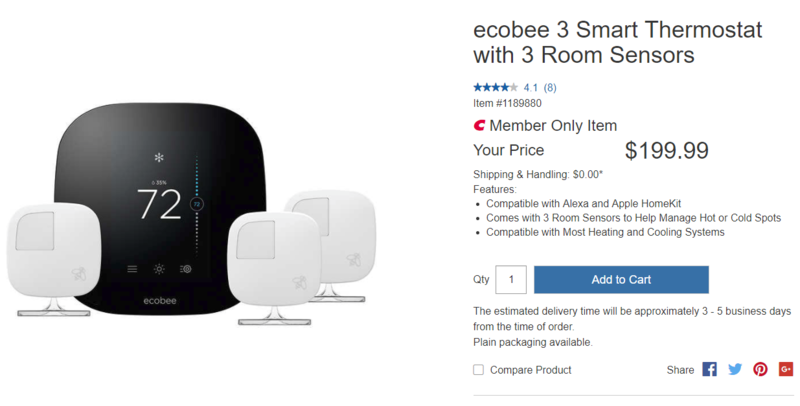 Right now, you can pick up an Ecobee3 smart thermostat, plus three room sensors, for $200. That's a good price, especially when you consider that Amazon has it for another $35 more. The best part about new technology coming out is that the older tech gets cheaper. 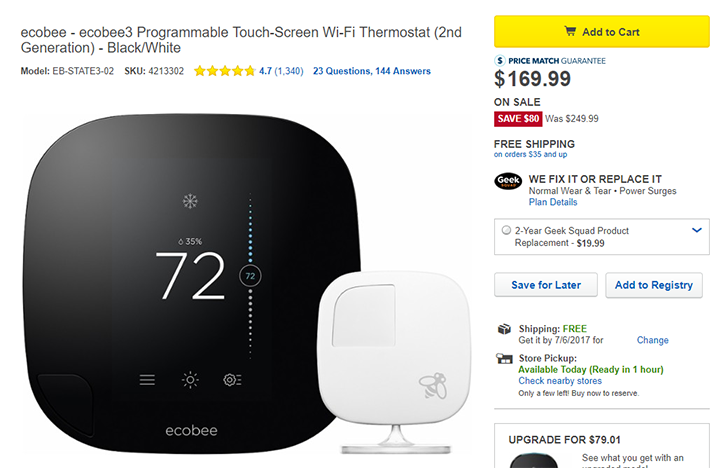 The ecobee4 smart thermostat was released last month, but at $249, it's a bit pricey. 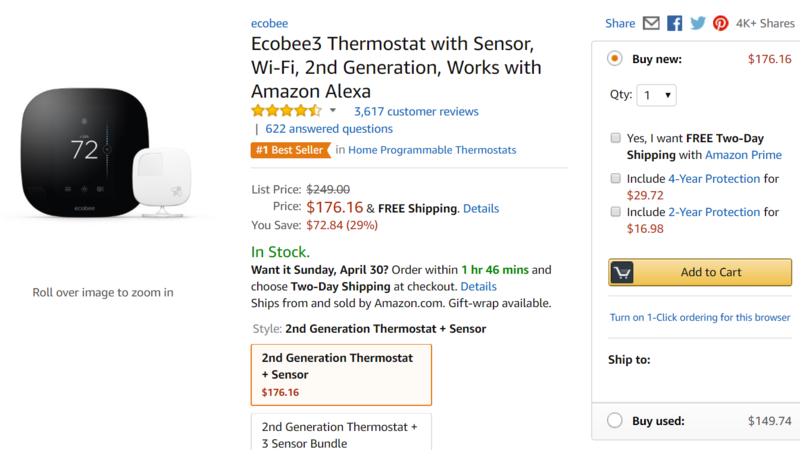 If you don't need the built-in Alexa assistant, the ecobee3 is still a great thermostat, and now it's just $169.99 at Best Buy.